Supreme Court Justice Ruth Bader Ginsburg's recent appearance at the Sundance Film Festival made one prominent Hollywood executive fret that she could take ill and even die, a devastating proposition to him given President Donald Trump's say in picking the next high court's member. The 84-year-old Ginsburg attended Sundance on Sunday for the premiere of the documentary about her life and legacy, RBG, and received three standing ovations from the progressive crowd, according to the Hollywood Reporter. But "Black List" founder and CEO Franklin Leonard worried about her presence and the possibility of her dying. "It is cold and slippery, and everyone has the flu," Leonard told the Reporter. "If they could have brought her in a bubble or a Popemobile—a Ruthmobile—then fine. Otherwise, it was literally the first time that I've ever questioned Ruth Bader Ginsburg's judgment. I mean, she must stay alive." Supreme Court justices have a lifetime appointment, although many have chosen to retire rather than keep the position until their death. The last vacancy was caused by the death of Justice Antonin Scalia in 2016. Leonard added of Ginsburg: "I couldn't help feeling emotional in her presence." Leonard began publishing "The Black List," the annual publication featuring the most popular unproduced Hollywood screenplays, in 2005. Ginsburg is revered on the left for her progressive interpretation of the Constitution, and she is often referred to by fans as "The Notorious RBG." 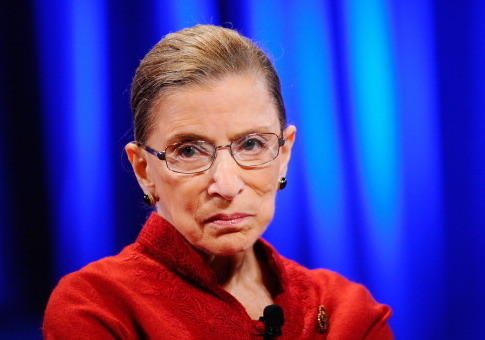 This entry was posted in Culture and tagged Hollywood, Ruth Bader Ginsburg, Supreme Court. Bookmark the permalink.